Friday morning our alarm went off at 6am. Why would we be getting up soooo freakin’ early on a Friday we don’t have to work? 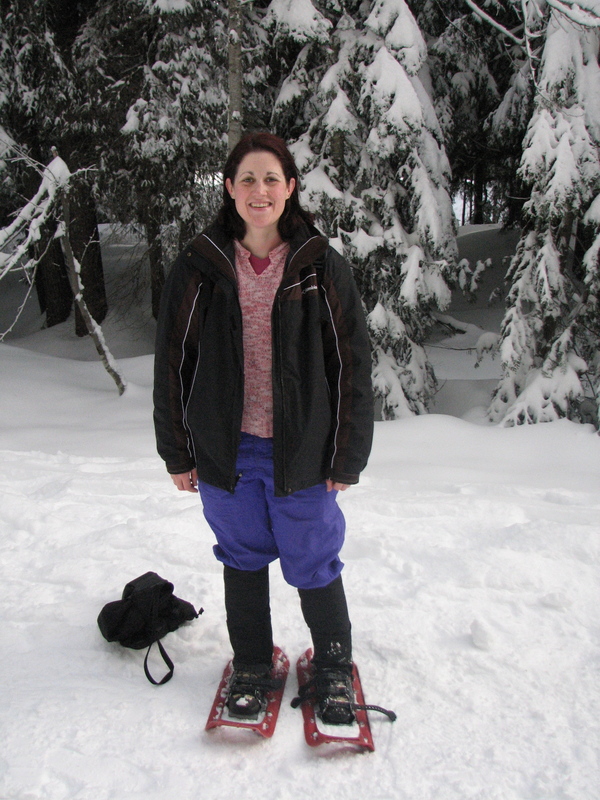 We went snowshoeing! Yay! Michael had excellent foresight by suggesting we get up so early, as well. He said it would be romantic driving up to Mt. Hood seeing the sunrise–which it was–and we’d beat out the crowds. 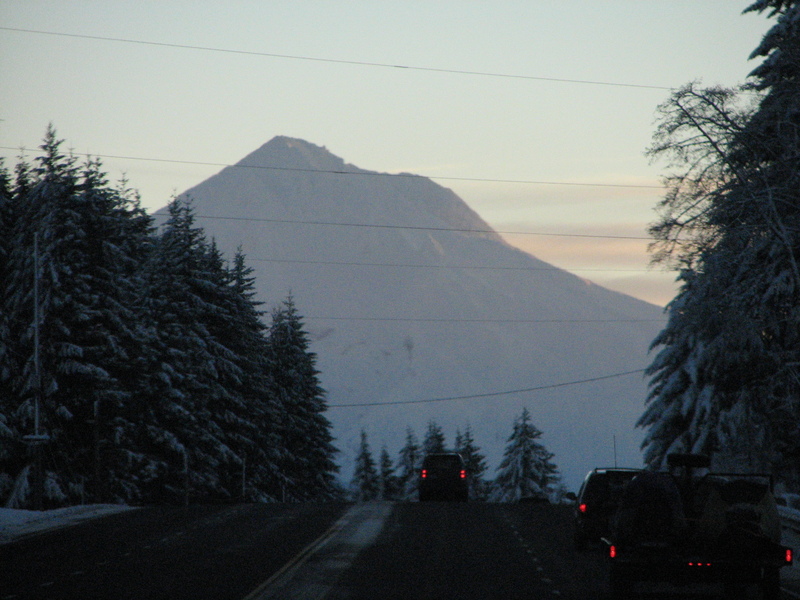 Mount Hood was spookily quiet and lonely when we got there. 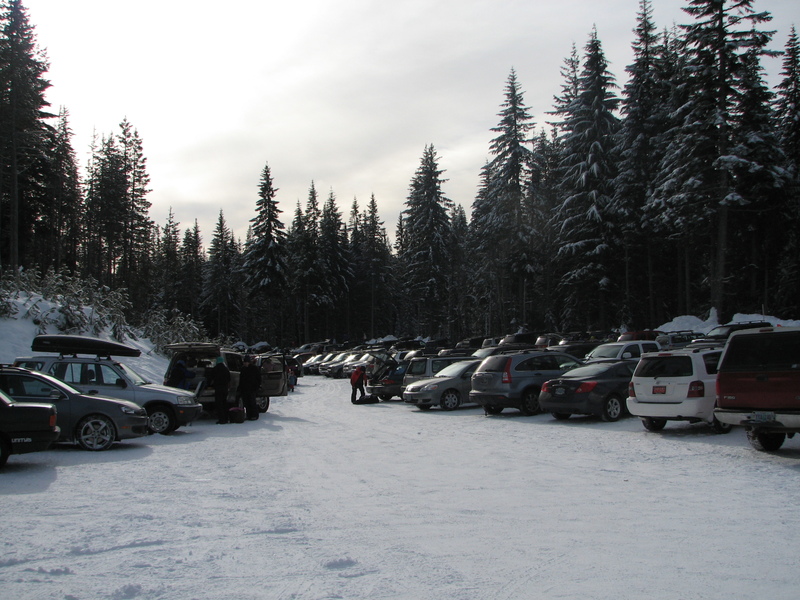 In fact we did beat all the traffic and we got a primo parking spot at the Sno-Park. 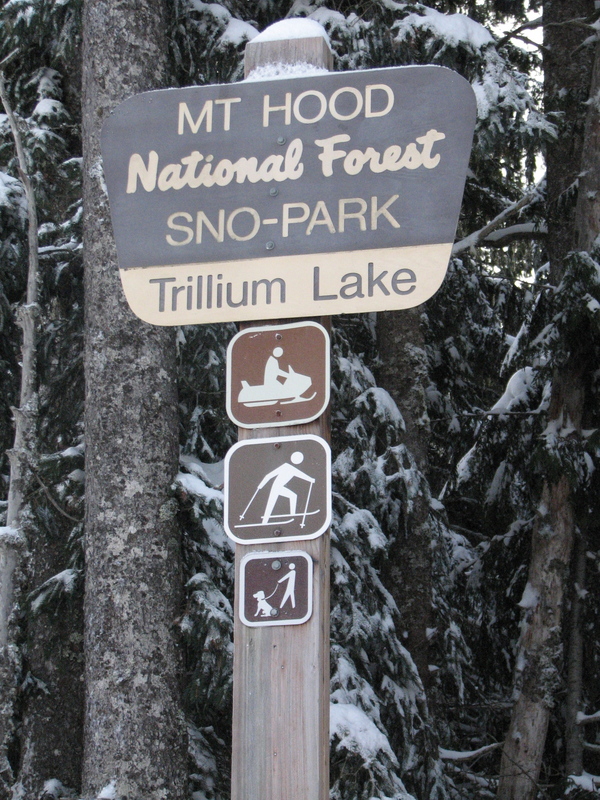 I wish I had taken a photos of the empty parking lot at Trillium Lake Sno-Park. We were one of about 10 other cars in the lot at 8:30am. That was a different story later in the day. 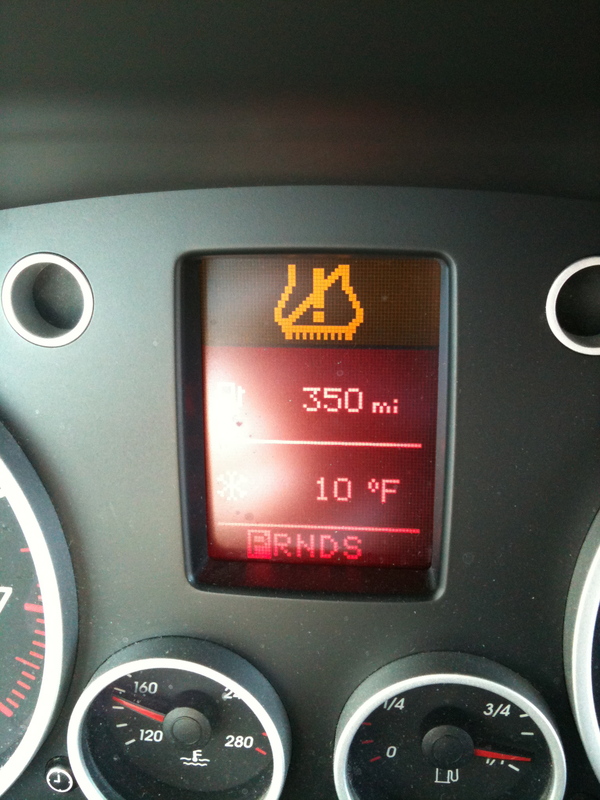 Yes, that says 10 Degrees. Luckily it was not snowing or raining and there was hardly any wind. 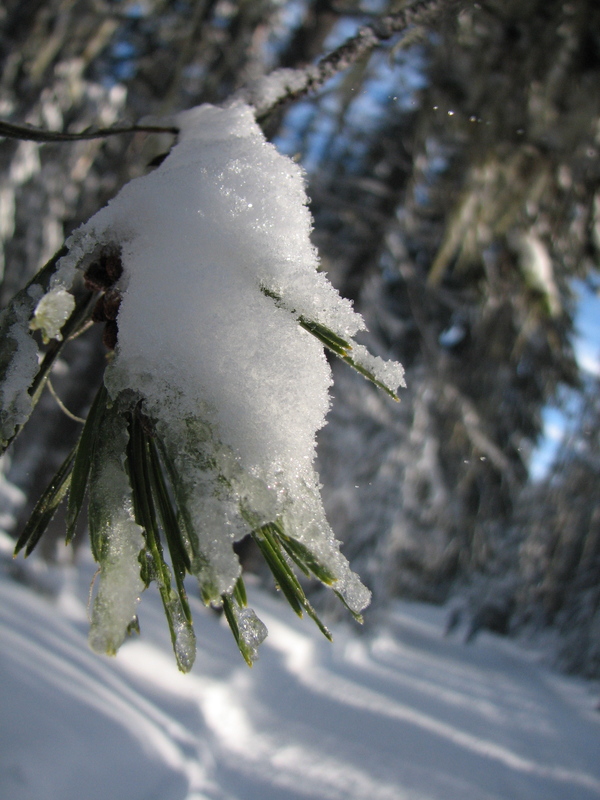 The wind chill was in the negative numbers, so we lucked out big time by picking such a good day to snowshoe. The sun was blinding and instead of goggles we wore sunglasses. Let me back up one moment. 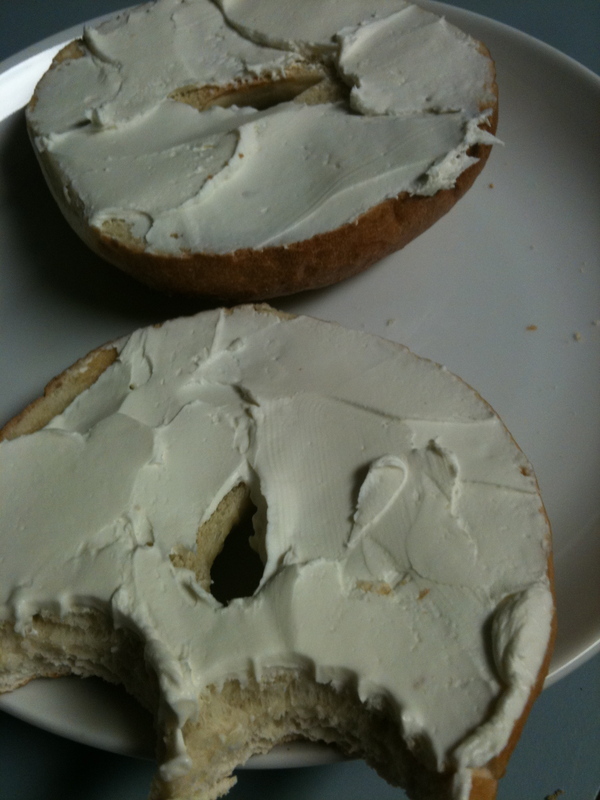 We had bagels and cream cheese for breakfast (and I had coffee) before we hit the road. 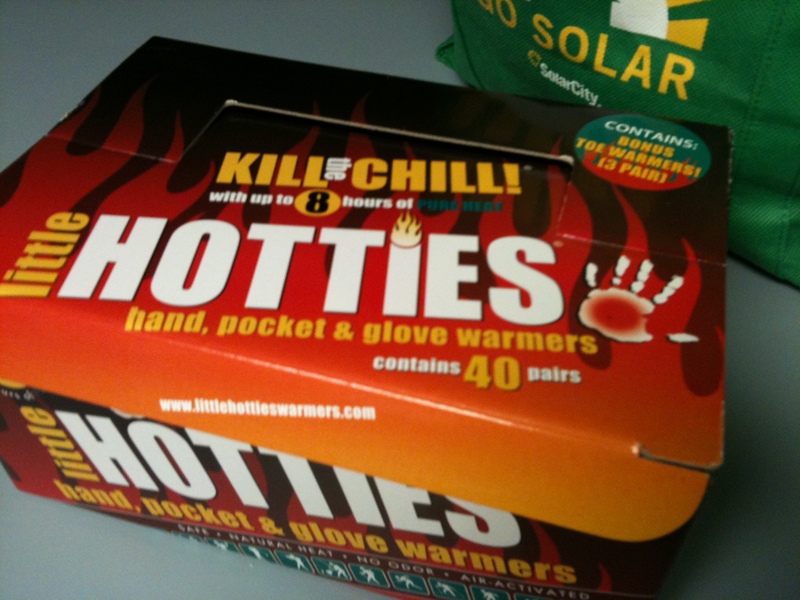 I also grabbed lots of hand and toe warmers. 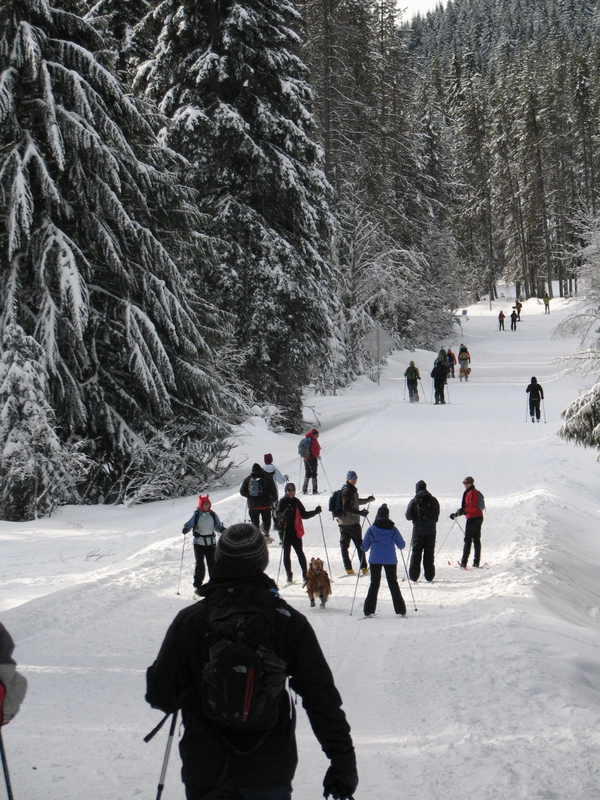 I wish I could say that the snowshoeing adventure was a complete success but for the most part it was a fun day–with a few mishaps. 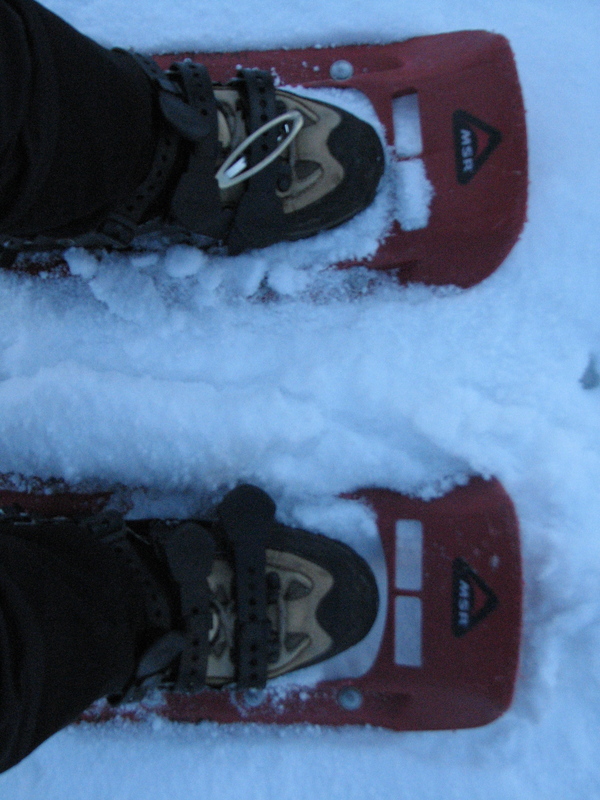 First, Michael and I both had issues with our rented snowshoes. He rented them from Next Adventure here in Portland ($10 each) and his were basically useless. I should have added this tip to yesterday’s post: ALWAYS CHECK YOUR GEAR AT HOME!!!! I totally spaced and just assumed they were fine…I mean, why would a respectable store rent faulty gear? SIGH. We made do with what we had. Michael’s shoes had a faulty boot strap that would not stay attached no matter how hard we both tried. Mine? One of my shoes was missing a plastic buckle so it kept coming undone. In fact, Michael finally gave up, took off the snowshoes and strapped them to his backpack and just walked in his hiking boots. He seemed to be doing alright that way. I, on the other hand, struggled with mine as well. I was able to keep them on the whole time but I had to stop a lot to adjust the strap. I finally gave up and let it come undone. When we got back to Next Adventure I told the rental guy what happened and he was a total jerk. Had a rude attitude and said the shoes were fine and he wouldn’t refund the money. I said that was fine, that I would never shop there again and just rent all my gear from REI because they were better anyways. 🙂 I said it very pleasantly. He snarled, “That’s fine we’re out of snowshoes for you to rent anyways.” Whatever. I called later and told the manager what happened. He apologized profusely. I will still never go back and just do ALL of my business with REI in the future. 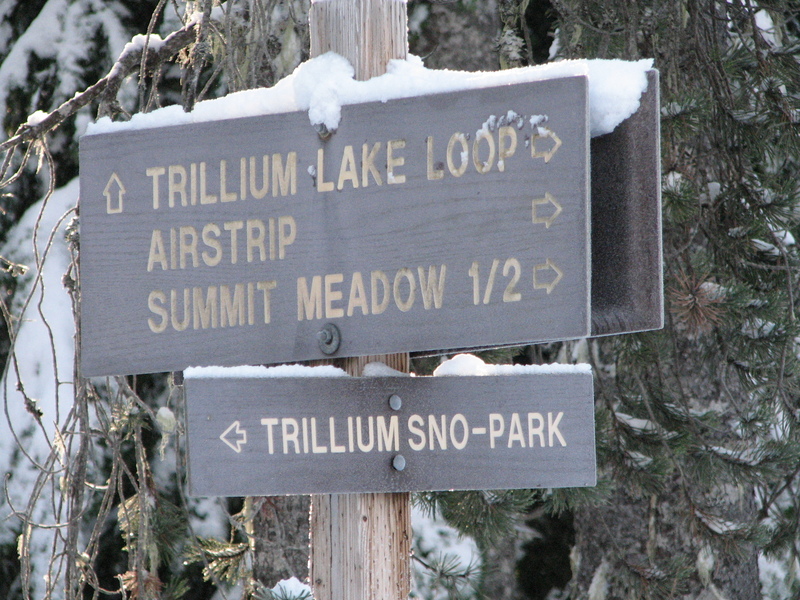 Trillium Lake Sno-Park was easy to find. 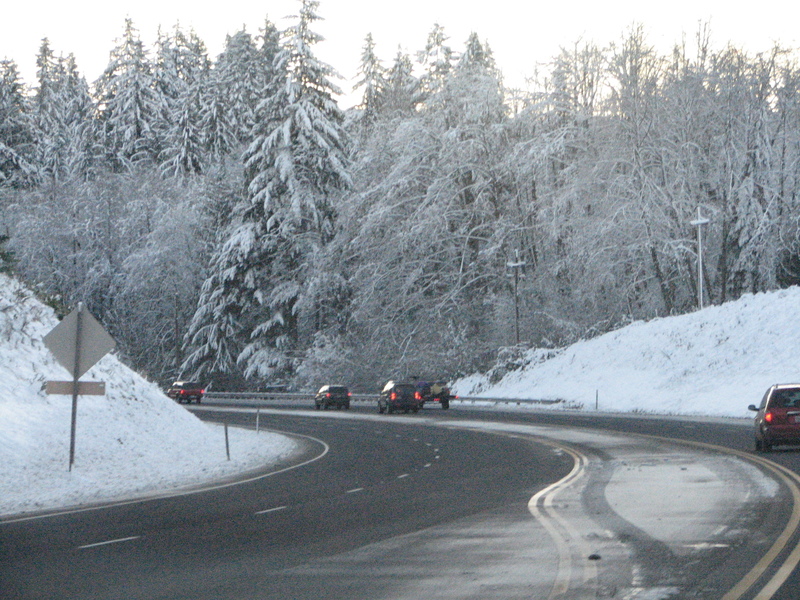 It was the turn-off right after the turn to Timberline. We easily found parking, peed, dressed in all our gear and then headed out. The trail is a road and it’s pretty wide. I’m not sure what it looks like in the summer time, or if people drive it? 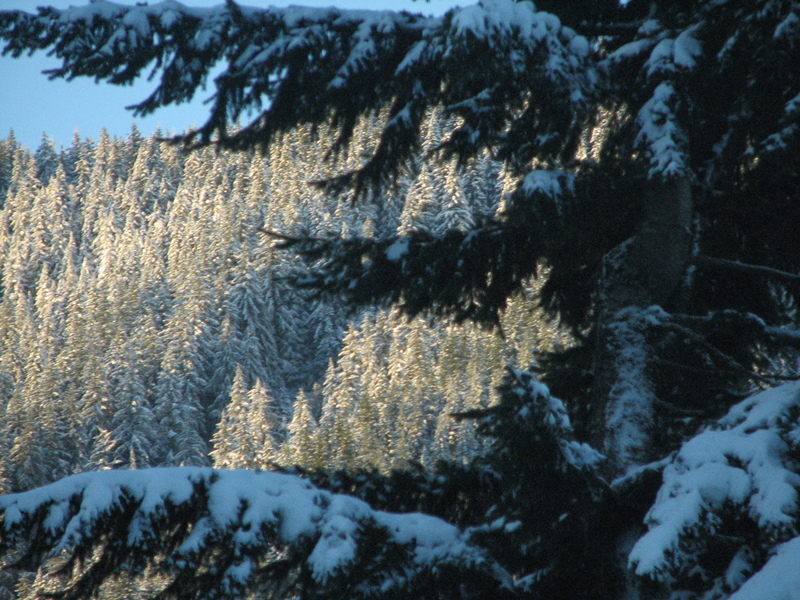 The beginning of the trail was a steep downhill through snowy trees. It was very quiet and serene. It was pretty amazing to walk into a meadow and see Mt. Hood so close it felt like I could touch it! We tried to get some photos of us together in front of the mountain but that proved to be more difficult than you’d think. Plus the sun was blinding. 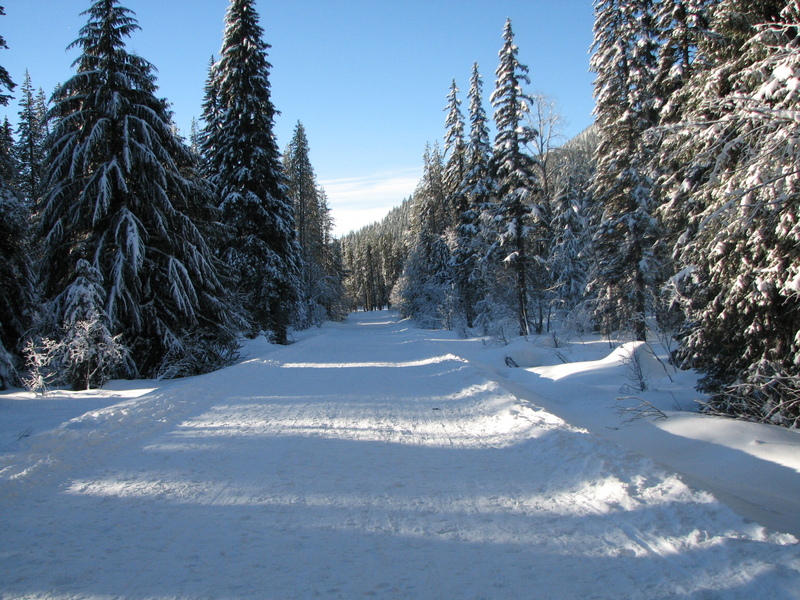 The trail had enough space for the cross-country skiers to be on one side and have perfect ski paths and the snowshoers took the other side. We hiked through the winding wilderness and came to a fork in the trail. 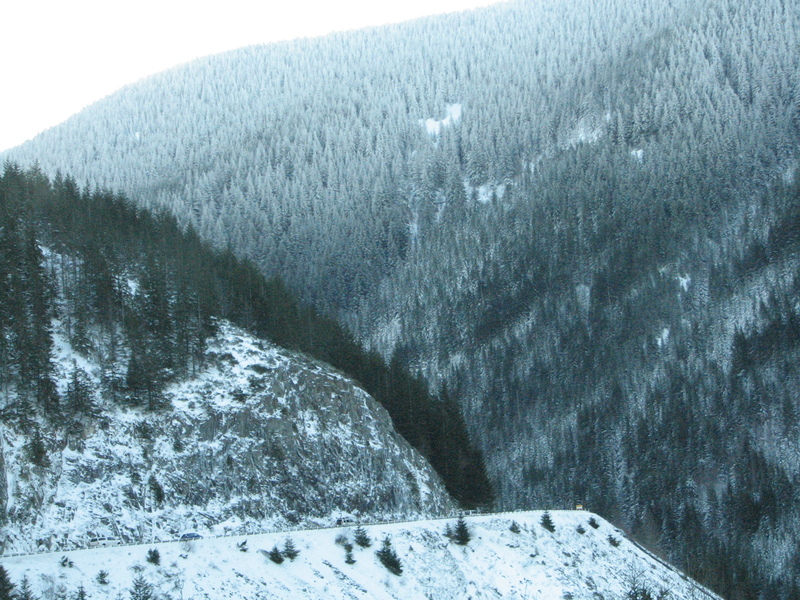 It looked like it continued onto Barlow Pass trail, or forked left to Trillium Lake. We headed to the lake. We passed by two cabins in the middle of nowhere that are apparently rent-able. I saw skiers dragging their suitcases on sleds behind them. They had to park in the lot and bring all their gear in to the cabins. Now that’s roughing it! The path was fairly flat and level. 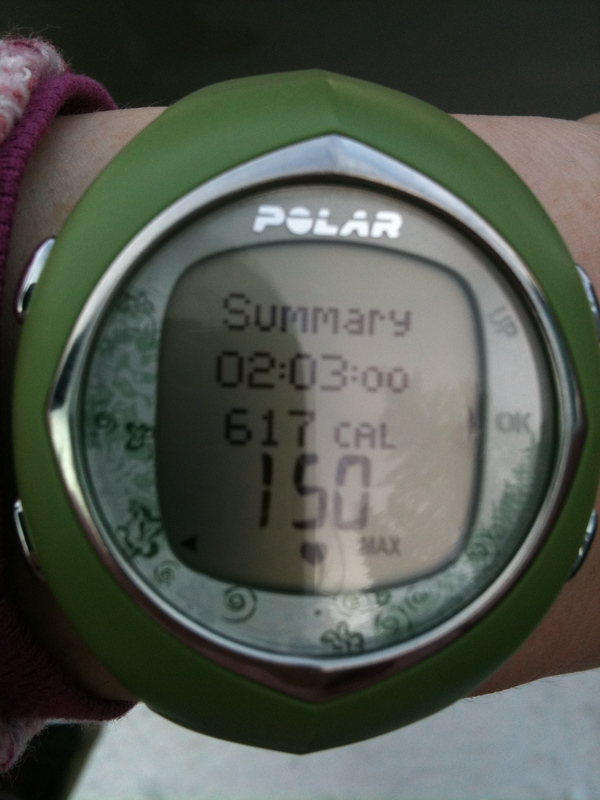 My hips seemed to be doing alright, my knee wasn’t bothering me. Michael was doing okay despite not walking in his snowshoes. 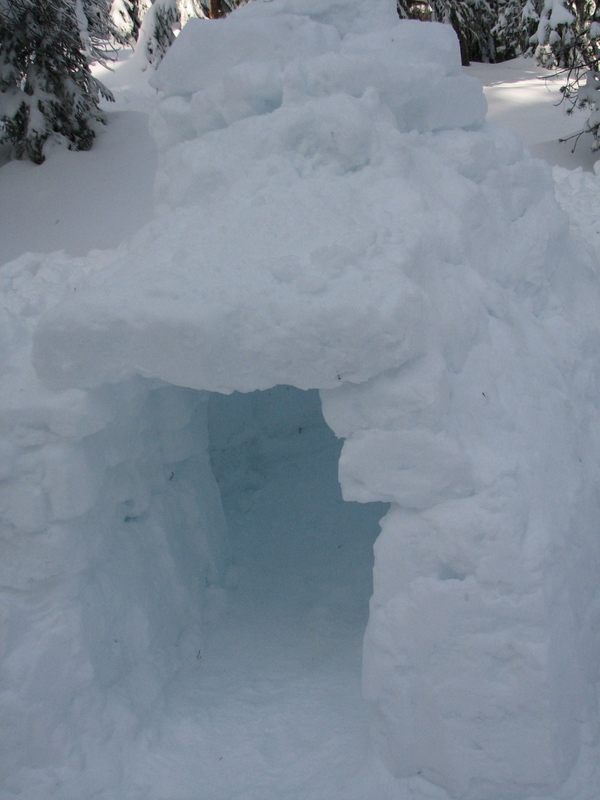 We passed by some skiers that were building an igloo. It was pretty cool to see! They had some yellow labs with them too and they were very friendly (and cute)! We trekked on. The trail was suddenly uphill. Not terribly steep but Michael’s back was starting to hurt him. We walked a bit then stopped to rest then walked…finally he said his back hurt too much. We decided to turn around even though we hadn’t gone very far. The shoes not working right, the coldness, his back…I didn’t want to push it. It turned out to be a smart decision to quit early too. Half way back to the car my leg started to hurt badly. Michael and I were disappointed that we couldn’t go any further. I wanted to at least get to the Lake and see what it looked like. I asked a skier and she said it was still quite a ways away. It was the smart move to turn around. The sun was bright and I was starting to warm up a lot. We got back to the base of the hill that lead back up to the parking lot. That’s when we saw the THRONGS of people. Clearly we were VERY smart to get up super early and start our day before everyone else. Probably the smartest thing we did. 🙂 There were probably 50 people or so suddenly coming down the mountain. I saw lots of newbie skiers attempting to make it down the steep hill. It was pretty humorous. One girl lost one ski and had to chase it down the hill! 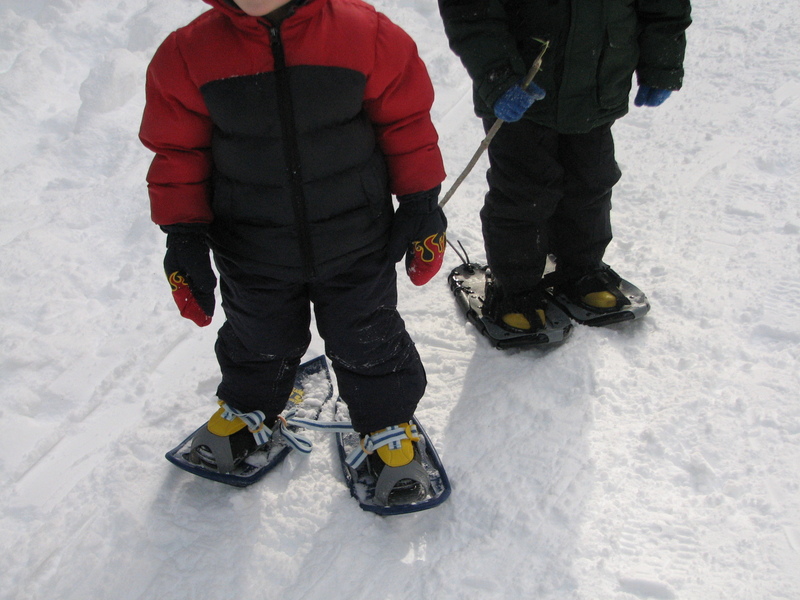 There were also cute little kids in tiny snowshoes and tiny skis. Now that was adorable! My right knee was doing okay but my left leg was bothering me and I was starting to worry about my shin and my Achilles. Luckily we made it back to the top alright. Plus the parking lot was FULL. 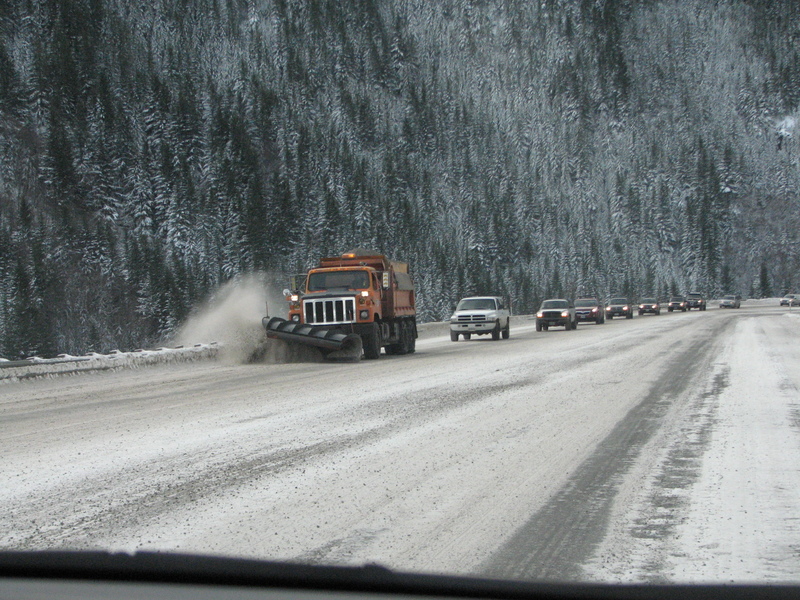 The drive down the mountain was uneventful. Traffic was light for us, not so much the other direction. 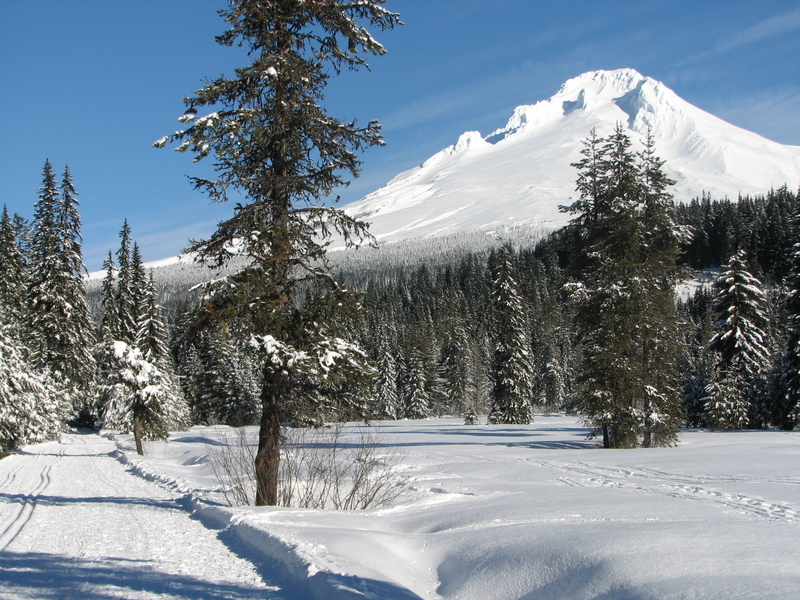 We passed by the road to Timberline and it was blocked off with a sign that said “LOT FULL.” People were being turned away at several Sno-Park Lots. We lucked out! Distance: Maybe 2 or 3 miles? Michael burned around 1,000 calories. Normally we both burn probably twice the amount of calories snowshoeing. 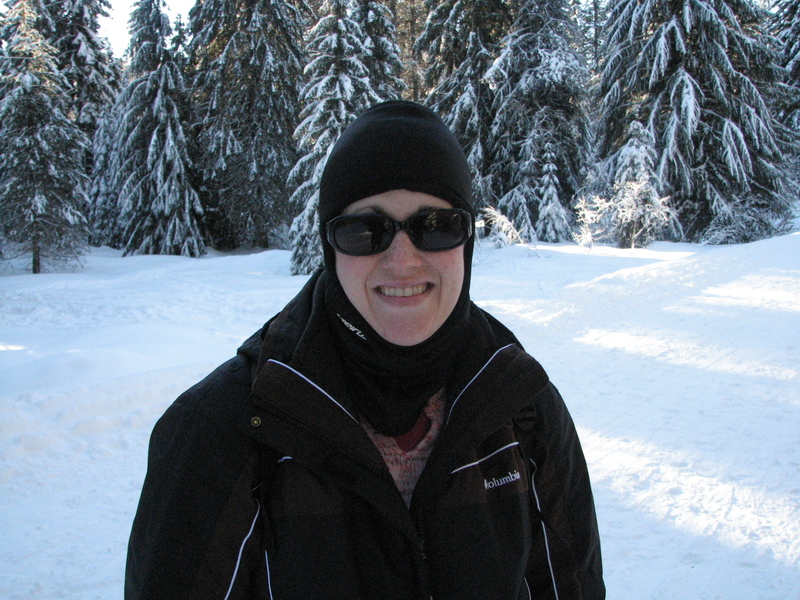 However the easy terrain, short distance, and constant stopping to fix the snowshoes made our counts much lower. 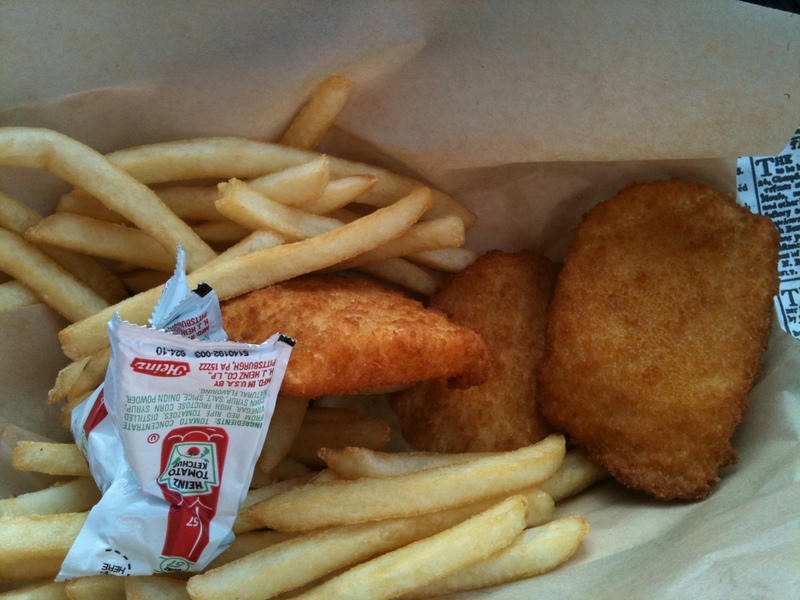 We stopped at Burgerville for lunch. Michael and I were both crossing over into Crankyville because we were tired and HUNGRY. 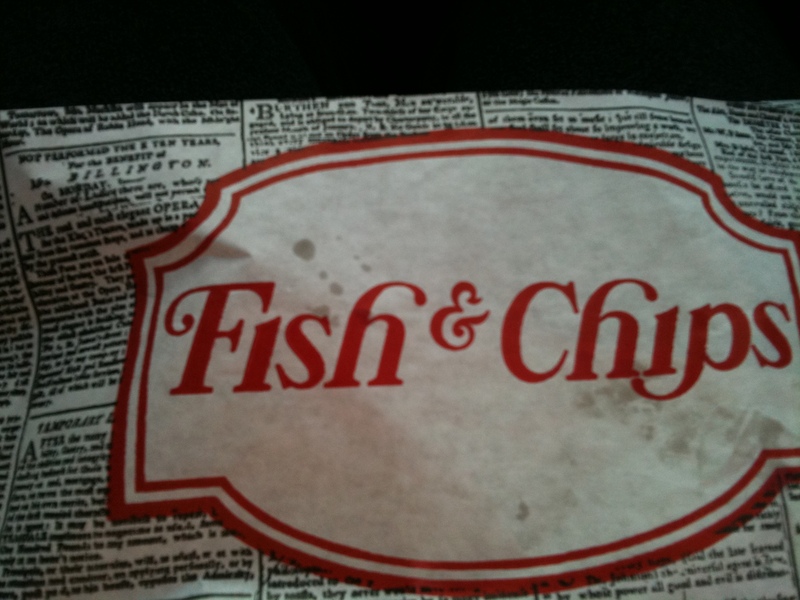 I got the 3 piece Halibut fish and chips and devoured it. All in all it was a good time. 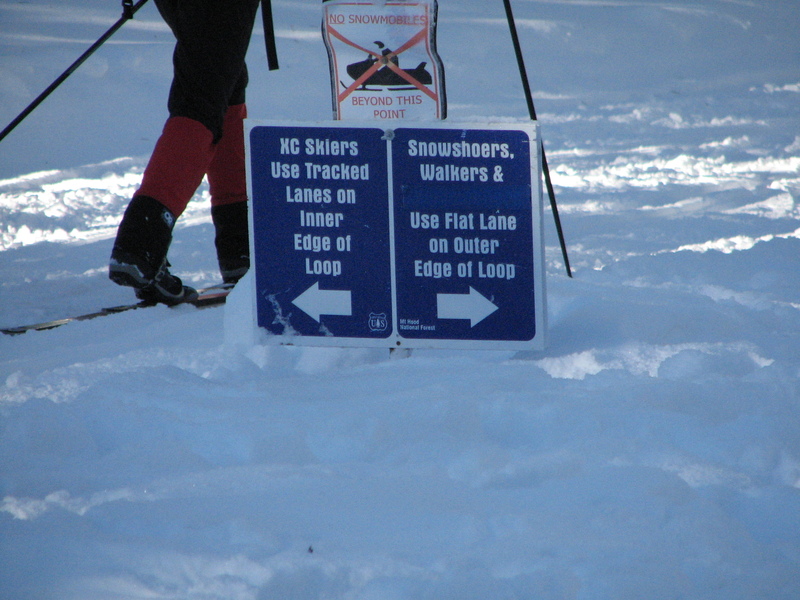 I really wish we had been able to snowshoe the entire loop. After doing only 2 miles or so in the amount of time we did it I think doing the full 6 miles was a silly concept with the time restraints we had. Oh well. It’s a goal for next time! 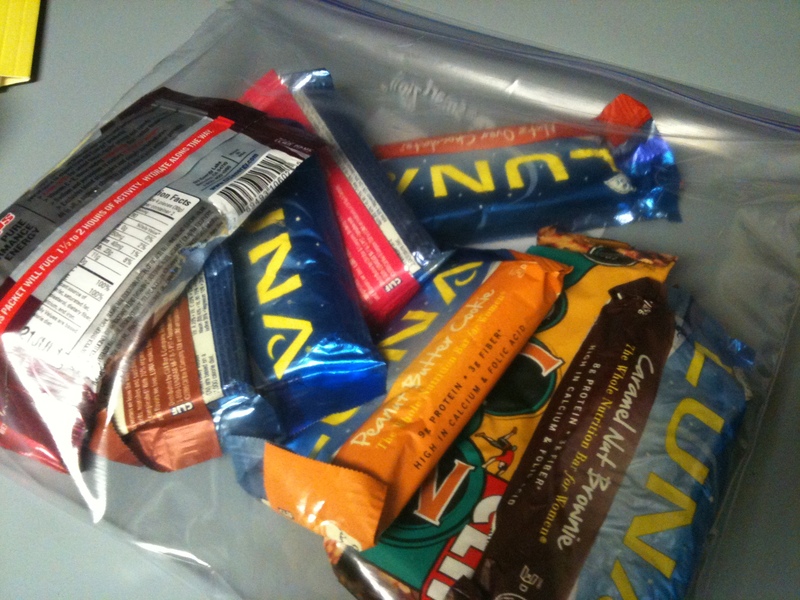 I brought a bunch of protein bars and GUs for us to eat. 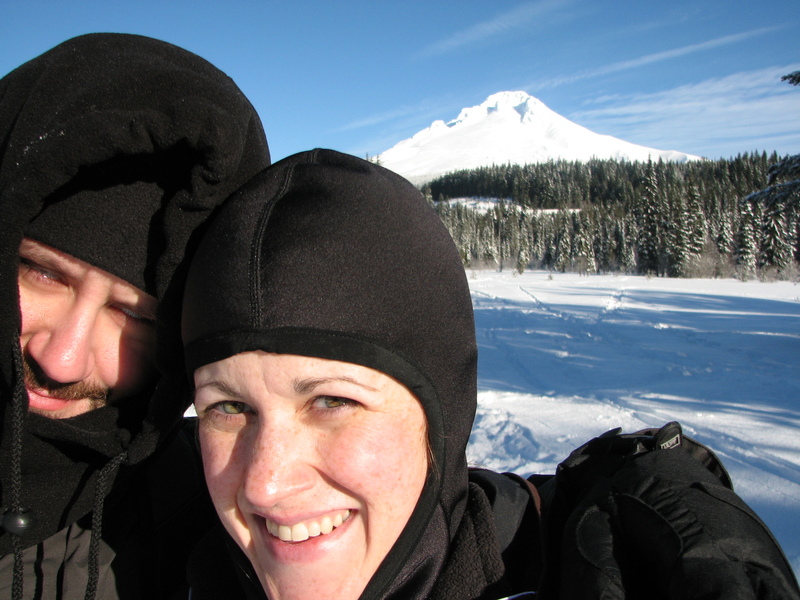 I think we both should have eaten some right when we first arrived at Trillium Lake. I think our draining energy levels were part of our problem. Usually we fuel ourselves pretty smartly before things like this but I think we were both distracted by crappy snowshoes (I will be writing more on that later). 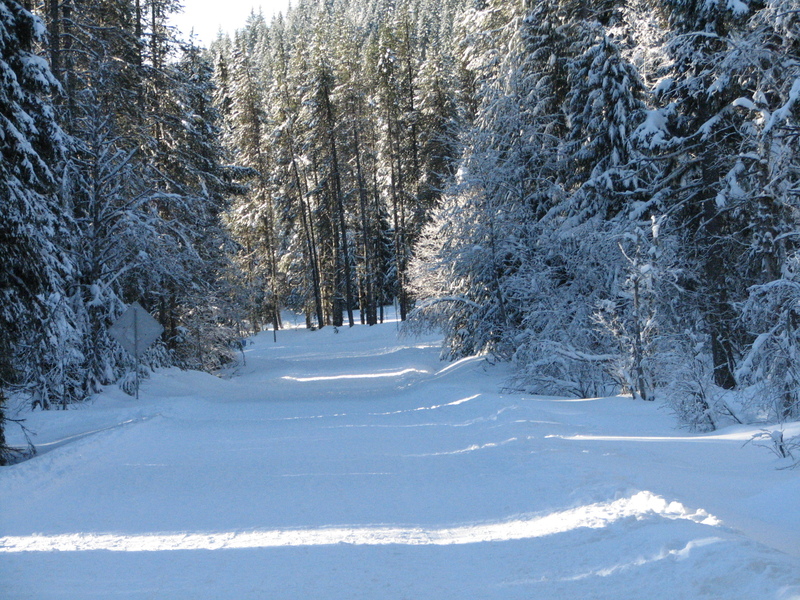 QUESTION: Have you played in the snow at all this winter yet? Your pictures are fantastic!! 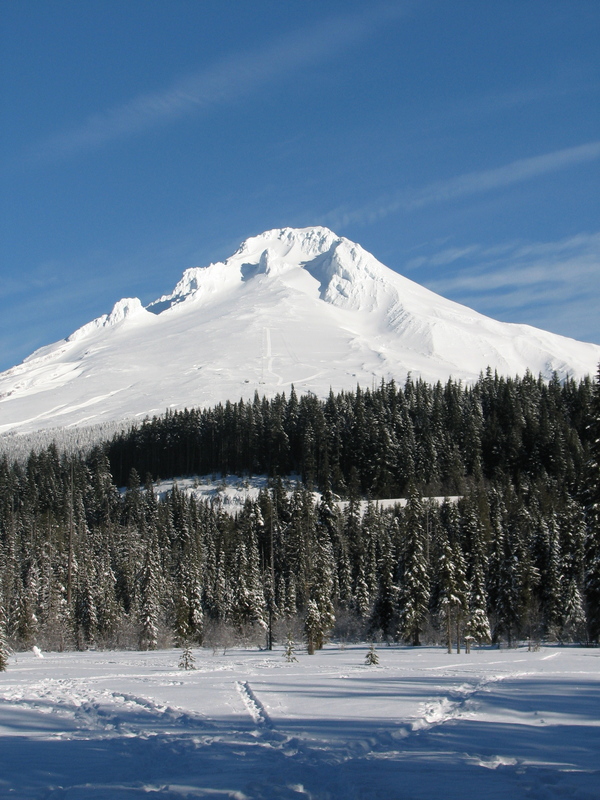 I’ve been snowshoeing was at Trillium Lake. It’s beautiful! But I was not there on such a good day as you! We had misty rain the whole time. p.s. I hate poor customer service. Julie I’d NEVER cross a lake!!! Ever! Scary! Fun! How was the weather when you went? Was it crowded? Glad you didn’t cross the lake. I’m bummed we didn’t make it to the lake! It looks so beautiful! I’m so sorry your trek was less than ideal. REI should be having a big sale on snowshoes soon. I think they’re worth buying. We love ours even if we don’t get out on them as much as we’d like to. We only made it out today to buy sushi-making ingredients but we may still drive to the beach tomorrow for razor clamming. I think Cady deserves a trip to the beach (her favorite). 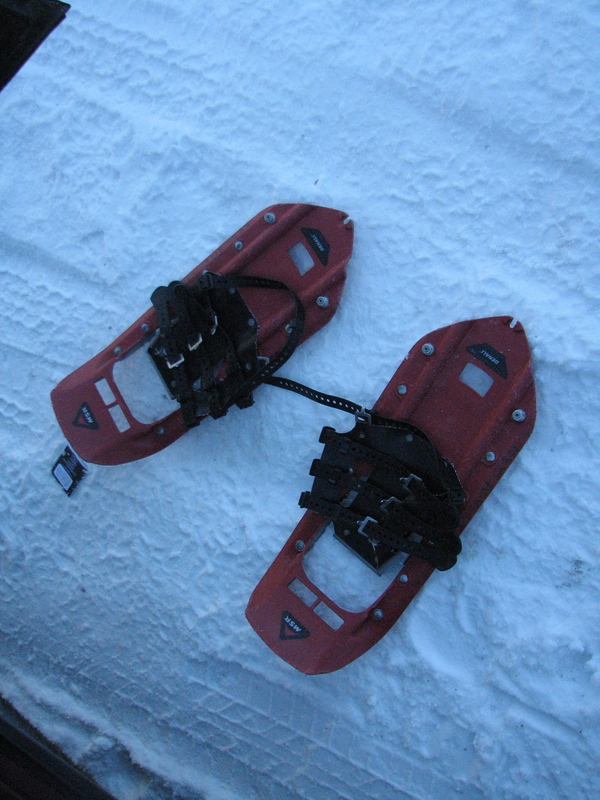 Which brand of snowshoes did you guys buy? We are definitely buying our own. There is no snow in Middle GA to play in, or there usually isn’t. So we went to Stone Mountain GA which has been turned into “Snow Mountain”!! They pump water out of their lake and turn it into snow. We spent the morning riding tubes as a family down a slope and letting our kids ride in little plastic sleds and small tubes down very short slopes. It was fun and we were glad we played in the snow early in the day because by noon it was 60 degrees and the snow was disappearing faster than they could make it. 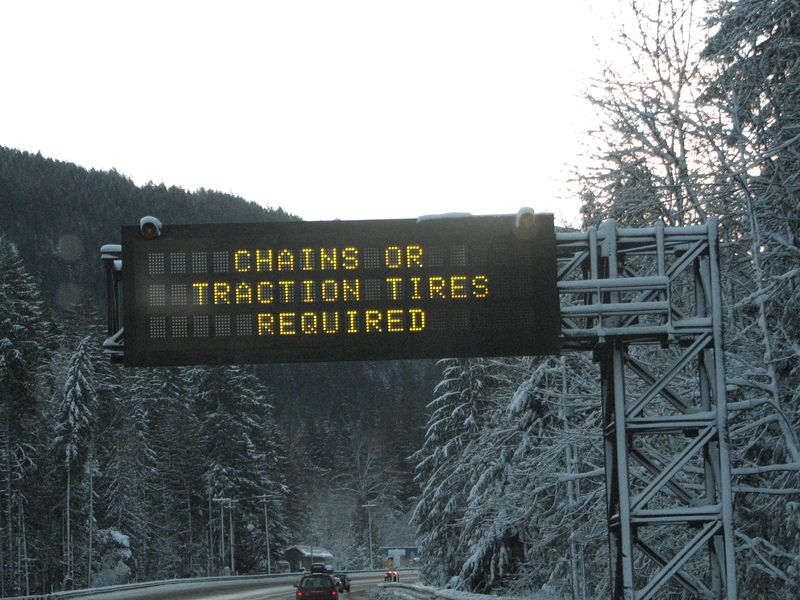 I’ve never been out in snow shoes, but it looks like fun. I have been to Mt. 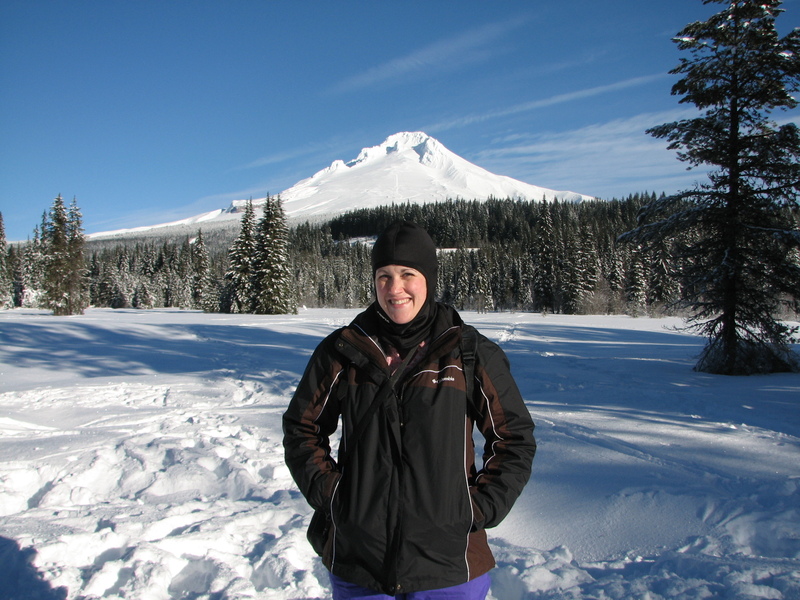 Hood (but not Trillium Lake) and had a snowball fight in August. We saw summer skiers while we were there. Do you summer ski? I’ve never heard of that! 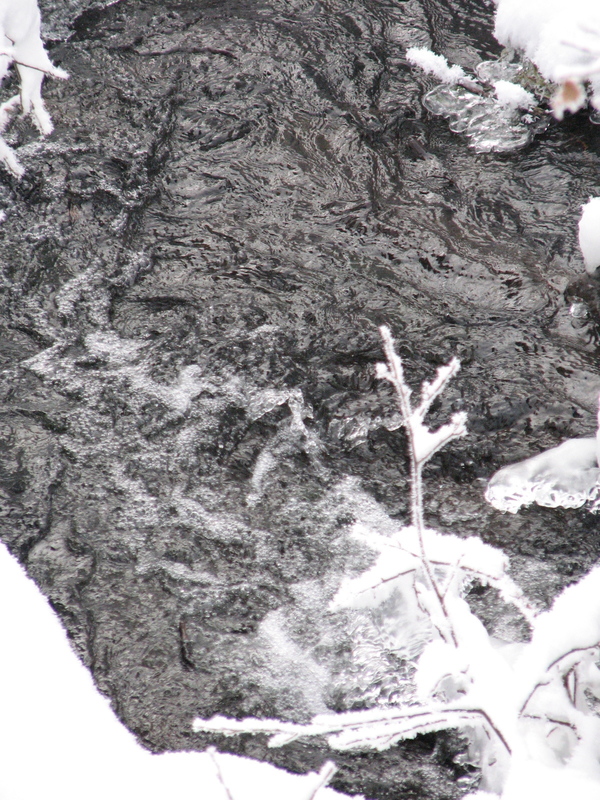 Pumping water to make snow? What a cool thing. I’ve never skied before. Wow, that is so gorgeous! 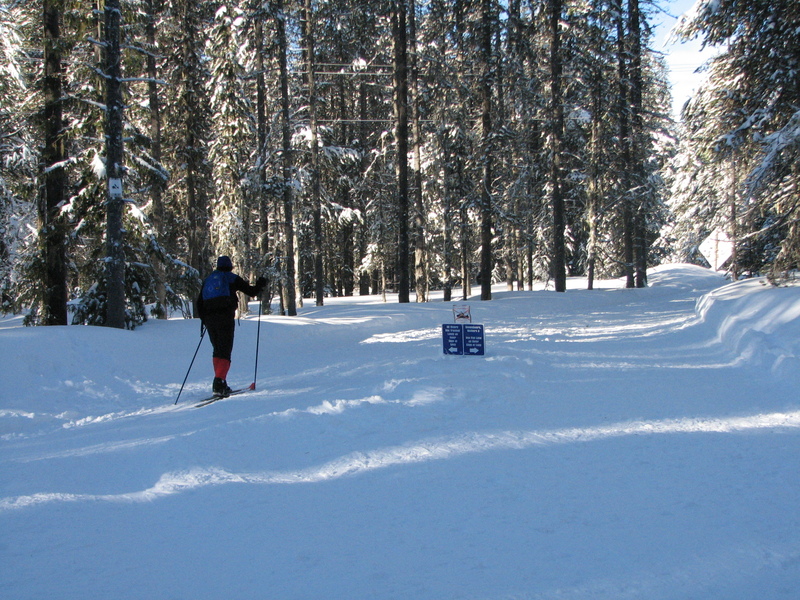 I’ve never snowshoed or done cc skiing – just downhill. I bet with good equipment and more fueling you could get to the lake. We will definitely try again! Spectacular photos, Lisa! Happy New Year! that looks fun! 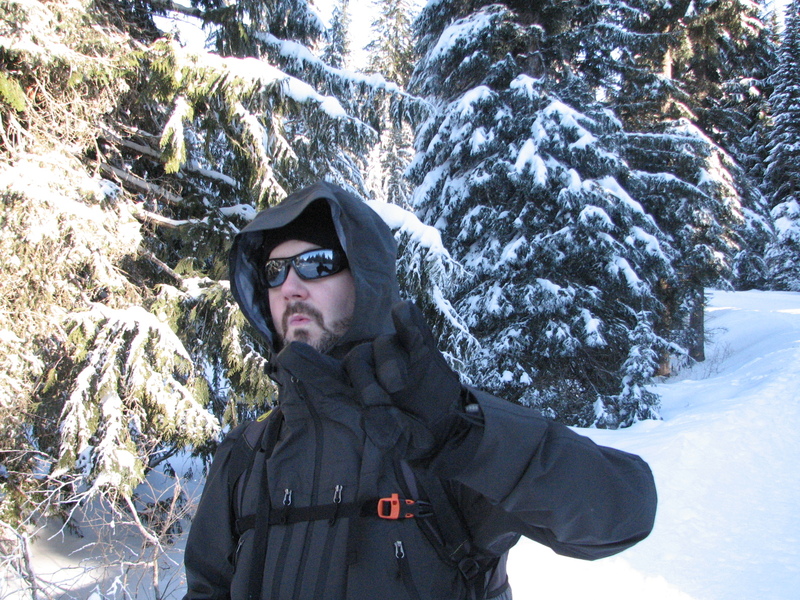 josh and i have been talking about going snowshoeing this winter, but haven’t yet…. i’ve seen ads for the showshoe in cabin. i love the concept but it was still not super cheap. and if i have to pack my gear it, i want a deal! That looks amazing! I haven’t been snowshoeing in years. 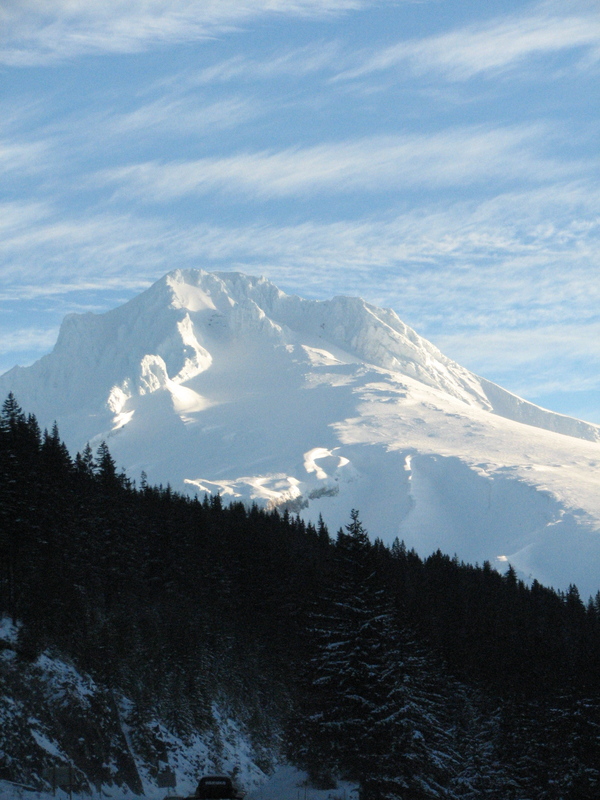 Mount Hood must be beautiful in person. How is your knee? My knee is okay. Today is a rest day so I’m taking it easy. Tomorrow will tell me for sure how my knee is doing when I try to run at the gym. AHHHHHHH I wanna go skiing!! Yes it was pretty disappointing. It just reaffirmed our need to buy our own snowshoes and never rent again. Especially not from that place!